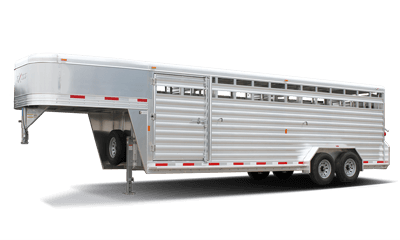 Rugged, durable and dependable livestock trailers by Exiss have been the choice of successful cattlemen and ranchers for many years. 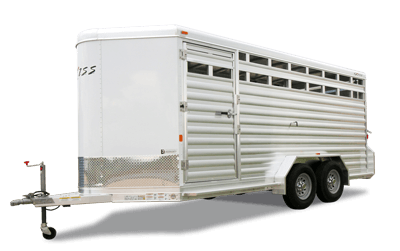 We build quality aluminum livestock trailers that live up to the rugged demands of hauling, loading and unloading your livestock. From our extruded flooring to our commercial grade fenders to our heavy-duty kingpin, Exiss bumper pull and gooseneck stock trailers are built to last.